154 pages | 4 B/W Illus. Creativity and Psychotic States in Exceptional People tells the story of the lives of four exceptionally gifted individuals:　Vincent van Gogh, Vaslav Nijinsky, José Saramago and John Nash. 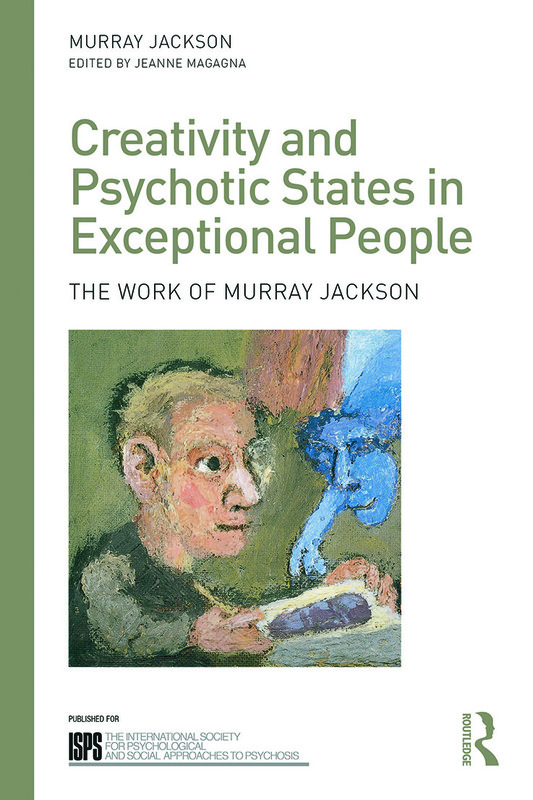 Previously unpublished chapters by Murray Jackson are set in a contextual framework by Jeanne Magagna, revealing the wellspring of creativity in the subjects’ emotional experiences and delving into the nature of psychotic states which influence and impede the creative process. Jackson and Magagna aim to illustrate how psychoanalytic　thinking can be relevant　to people suffering from psychotic states of mind and provide understanding of the personalities of four exceptionally talented creative individuals. Present in the text are themes of loving and losing, mourning and manic states, creating as a process of repairing a sense of internal damage and the use of creativity to understand or run away from oneself. The book concludes with a glossary of useful psychoanalytic concepts. ‘Is there a link between creativity and psychosis or is it a middle class delusion that one’s son or daughter has some cross to bear for being sensitive and intelligent? Do people become mentally ill spontaneously or are they upset about something? Should we treat mental illness medicinally or, with the patient, try to understand it? Creativity and Psychosis provides many clues and is a great starting point if you are interested in learning about psychoanalytic approaches to psychosis from scratch.’ – Dr Clive Hathaway Travis, patron of Talking 2 Minds, UK and author of Looking for Prince Charles’s Dog (Wymer Publishing, 2013), from the foreword. ‘The beauty of this book is that it is written in a style accessible to the lay public as well as to psychoanalytically informed professionals. Murray Jackson in collaboration with Jeanne Magagna investigates how unconscious mental processes underlying both creative and psychotic phenomena can lead to a lessened capacity to distinguish between the two. He traces the development of psychotic phenomena in the external and internal complex "histories" of well-known artists, and he extracts from these explorations of the minds of exceptional lives a world of wisdom that is useful not only for professionals but also for those interested in a deeper understanding of the human mind when it goes astray.’ – Bent Rosenbaum, Department of Psychology, University of Copenhagen, and Leading Senior Researcher at the Clinic of Psychotherapy, Psychiatric Centre Copenhagen, Denmark. ‘Van Gogh, Njinsky, Nash and Saramago. Murray Jackson, the late distinguished psychoanalyst, investigates their formative lives in depth giving much needed insights into the roots of adult creativity and of psychosis. A book for a very wide readership.’ - Brian Martindale, Chair of ISPS. ‘This book is a very serious contribution to this area of study and will be of lasting interest to a broad readership - obviously all working in the field of mental health will find themselves drawn into thinking deeply about this field and will see the relevance broadly both within their work and in terms of the theoretical/conceptual issues it raises – they will also gain a great deal from the discussion of theoretical and technical issues as regards psychotherapeutic treatment of this kind of disturbance, in the latter part of the book. But the work presented here will be of much broader interest - that is to anyone who can allow themselves to be fascinated by serious psychological disturbance and who has a serious interest in understanding exceptional creativity.’ - Dr. David Bell, Former President of the British Psychoanalytic Society, Consultant Psychiatrist at the Tavistock and Portman NHS Foundation, Visiting Professoral Fellow, Birkbeck College London. Acknowledgements. About the Contributors. Paul Williams, Foreword. Clive Travis, Commentary. Introduction. John Nash: Reason’s Approach to an Alternative Reality. Vaslav Nijinsky: Living for the Eyes of the Other. José Saramago: Sanity and Overcoming Adversity. Vincent van Gogh: Enduring Unrequited Love. Conclusion. Glossary. Appendix. Murray Jackson was a psychoanalyst with the British Institute of Psychoanalysis. He is well known as a teacher and writer who has applied psychoanalytic understanding to adults suffering from psychotic states. In 1994 he was given the International Society for Psychological and Social Approaches to Psychosis (ISPS) Lifetime Achievement Award for Outstanding Contribution to the Psychotherapy of Schizophrenia. He died in 2011. Jeanne Magagna is a child, adult and family psychotherapist. She was formerly Head of Psychotherapy Services at Great Ormond Street Hospital for Children and for many years she headed the child psychotherapy training at Centro Studi Martha Harris in Florence and Venice, Italy. She teaches and publishes internationally.